Great home in the popular Racquet club neighborhood. 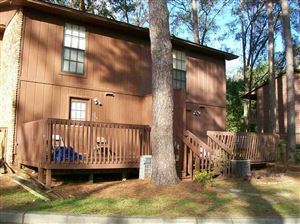 Just minutes from all that Tallahassee has to offer, shopping, parks, FSU.... This home has new paint, laminate, carpet, kitchen counters, kitchen sink, privacy fence and has frontage on the pond. large living room features cathedral ceiling and fireplace, open kitchen, screen porch - definitely worth a look !